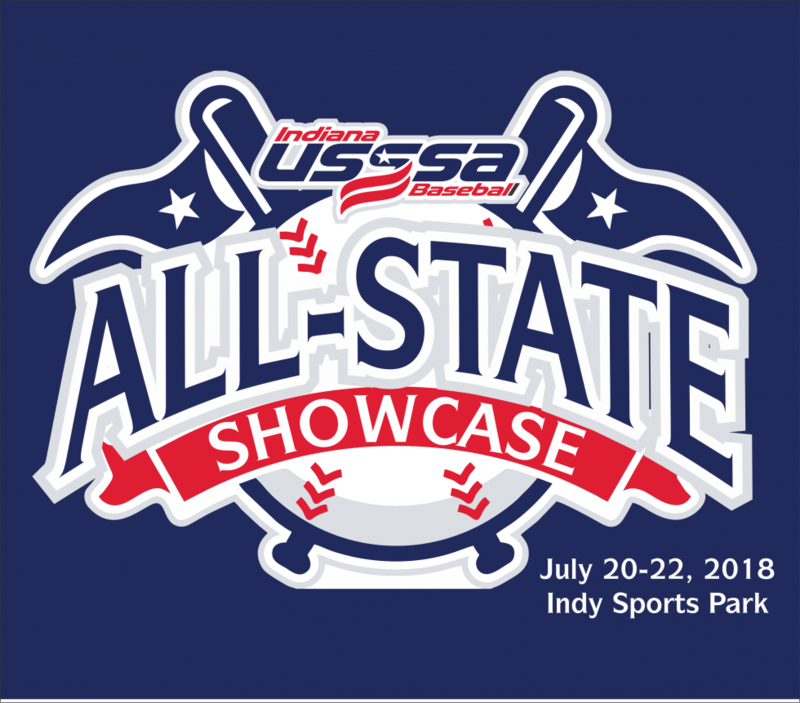 ​In 2019 Indiana USSSA Baseball will host the 2nd Annual Indiana USSSA All-State Showcase games on July 19-20th at Indy Sports Park. In 2018 we had over 550 top players participate in this awesome event. This will be a showcase of the top talent in Indiana and a reward to the many great baseball players we have in the state of Indiana. Indiana USSSA Baseball will be inviting top players from each USSSA tournament in 2019. The invite process and details of the event including the itneniary are below. - At the conclusion of each USSSA tournament 8-14u AA divisions and higher the Championship team will be awarded 3 invites and the runner up team will be awarded 2 invites. Coaches must submit their nominations on our All-State Showcase player invite card before the awards presentation of the respective tournament. - A tournament director can give a personal invite during any USSSA event for outstanding play on the field, or the showing of great sportmanship. - All State player invites will be recognized each week to the All-State page on the Indiana USSSA Baseball State website along with being mentioned on the Indiana USSSA Baseball Facebook page. - Coaches are on a volunteer basis and if your son is invited to the event your more than welcome to coach the team. Maximum of 2 coaches per team. Coaches must fill out the coaches application prior to coaching the event. - Each player will wear their respective team uniform for game play. - Players will be divided into teams based off positions they submit to the state office upon accepting and paying for their spot. The Indiana USSSA State office will form the teams. - Each team will play 3 games on Saturday July 20th. - Player cost is $85 and each player will receive an ALL-STATE ring and Certificate. - 4:00 pm DJ will begin playing, Face Painters, Juggling Acts, Bounce houses,Kickball Games, Whiffle Ball Games, Dunk Tank, Colts Cheerleaders, Kona Ice, and more. - 6:30 - 7:30 pm . Players meet their teammates and coaches and prepare strategies for Saturday game play. 8:00 am. Let the games begin at Indy Sports Park & Mooresville Sports Complex.